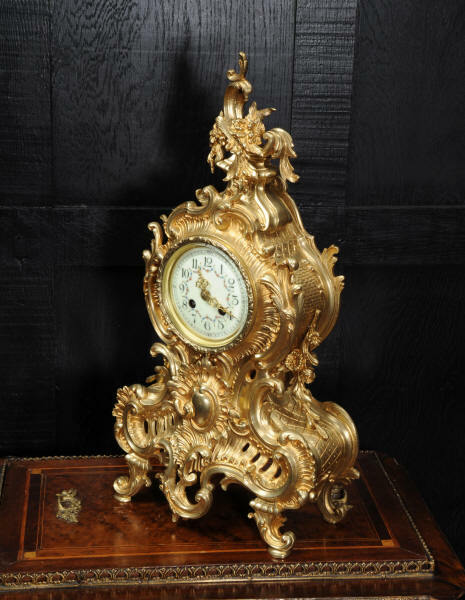 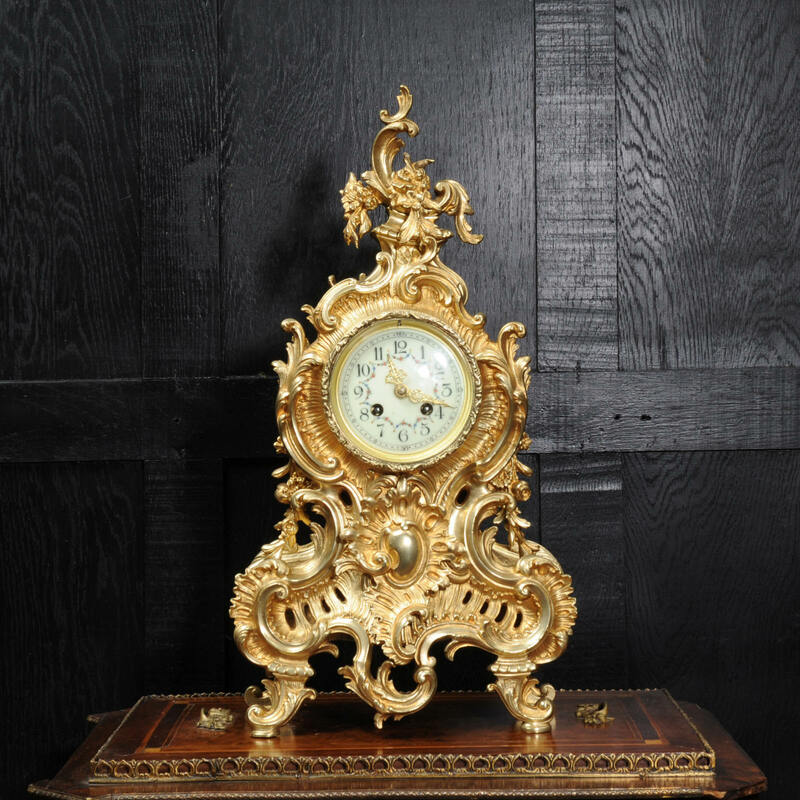 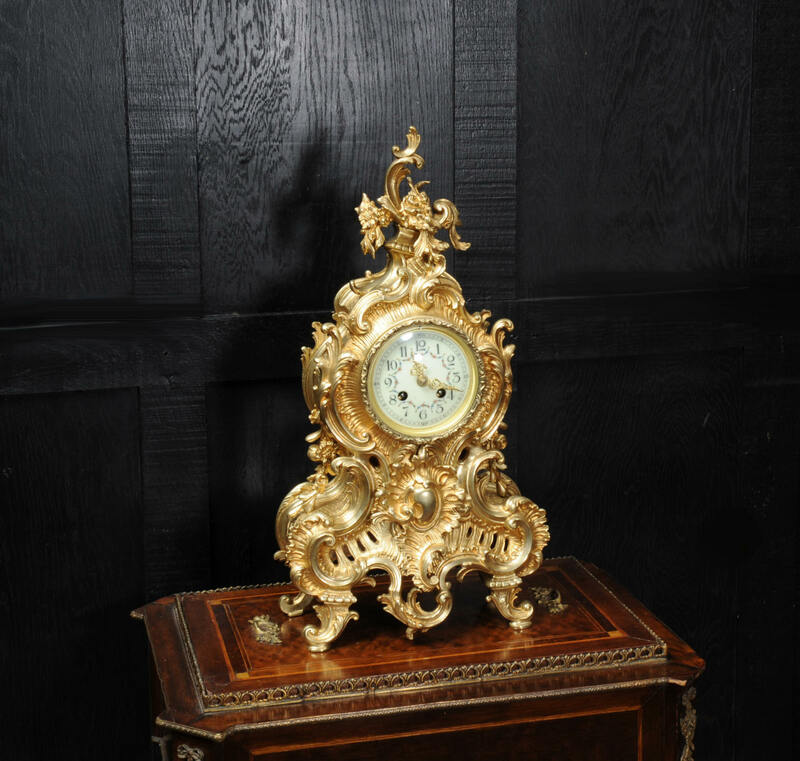 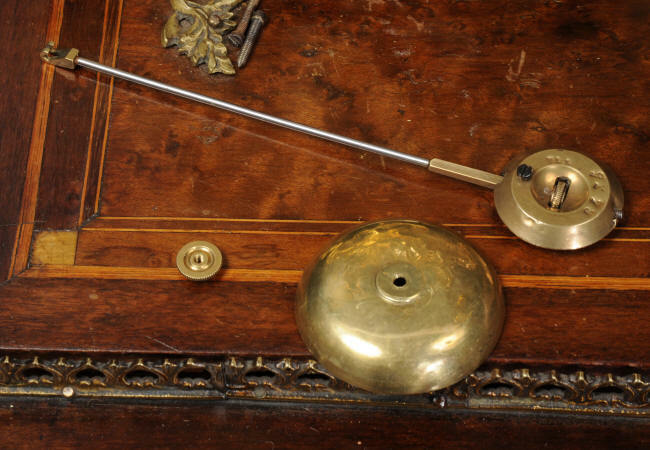 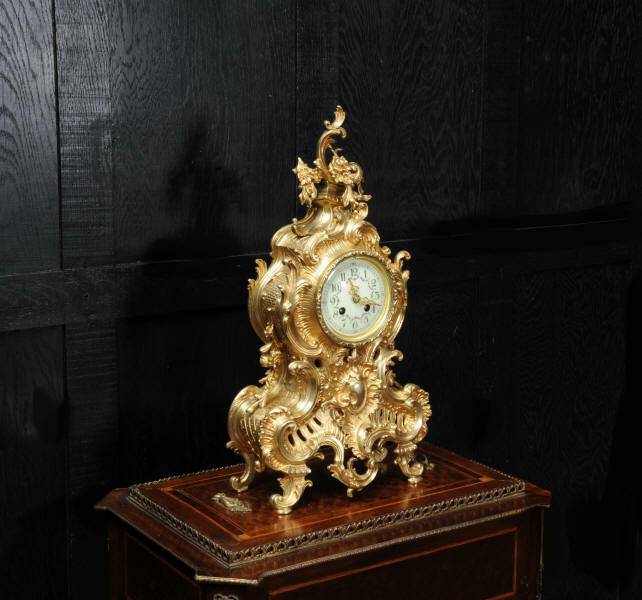 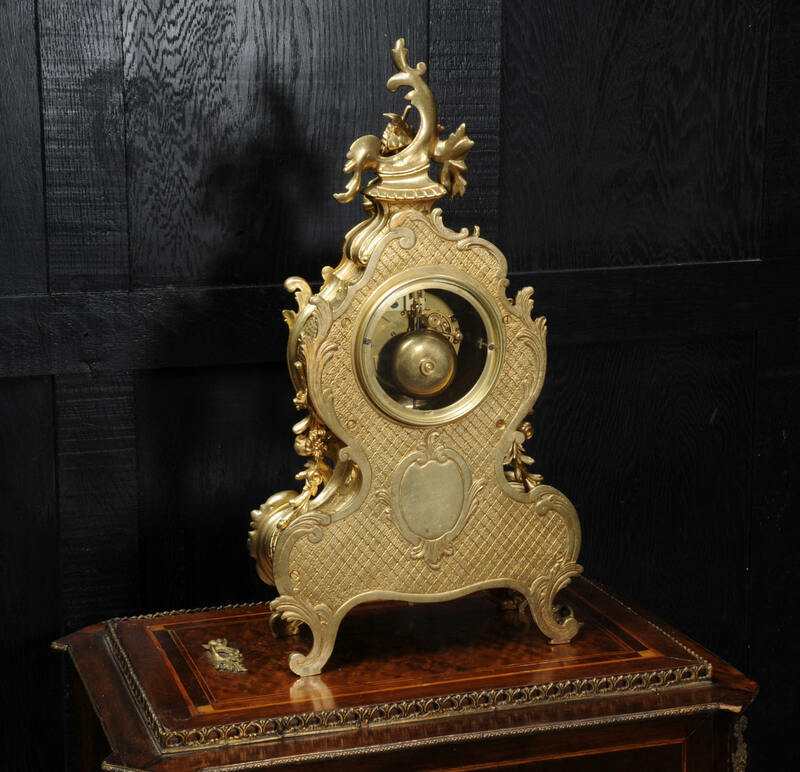 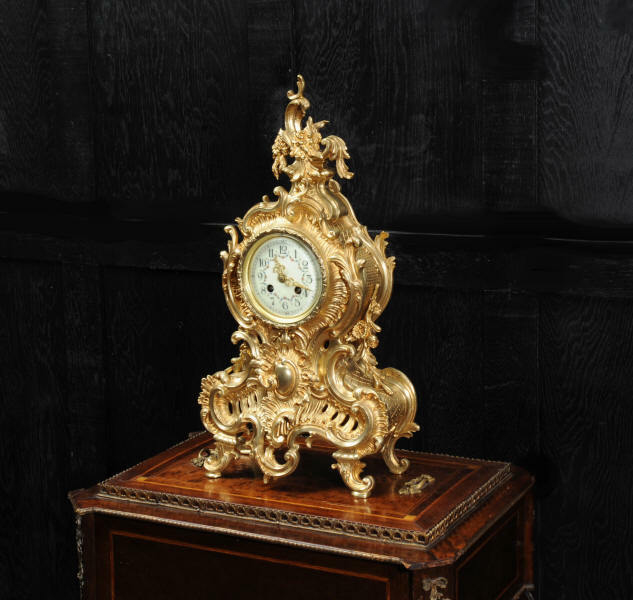 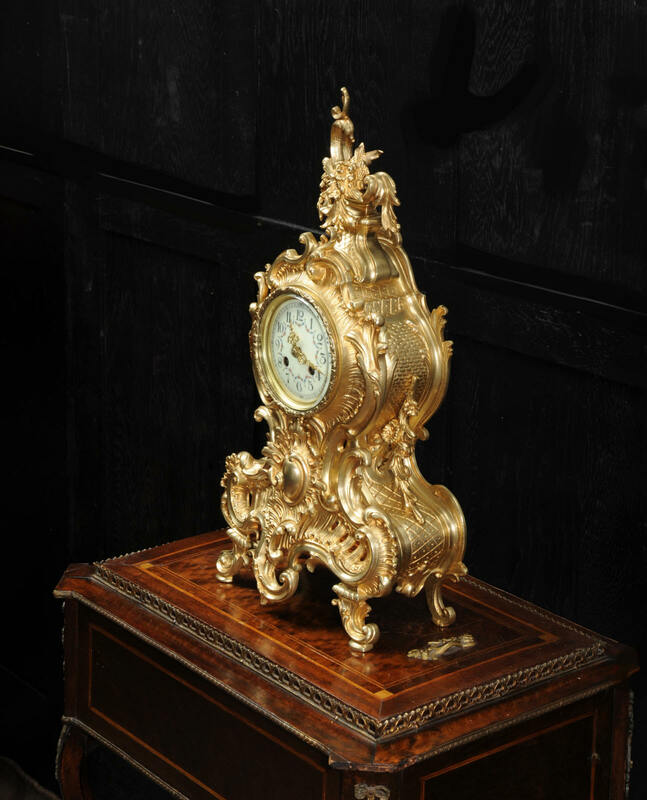 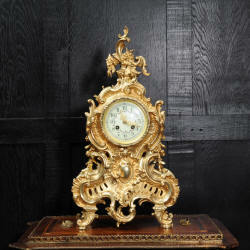 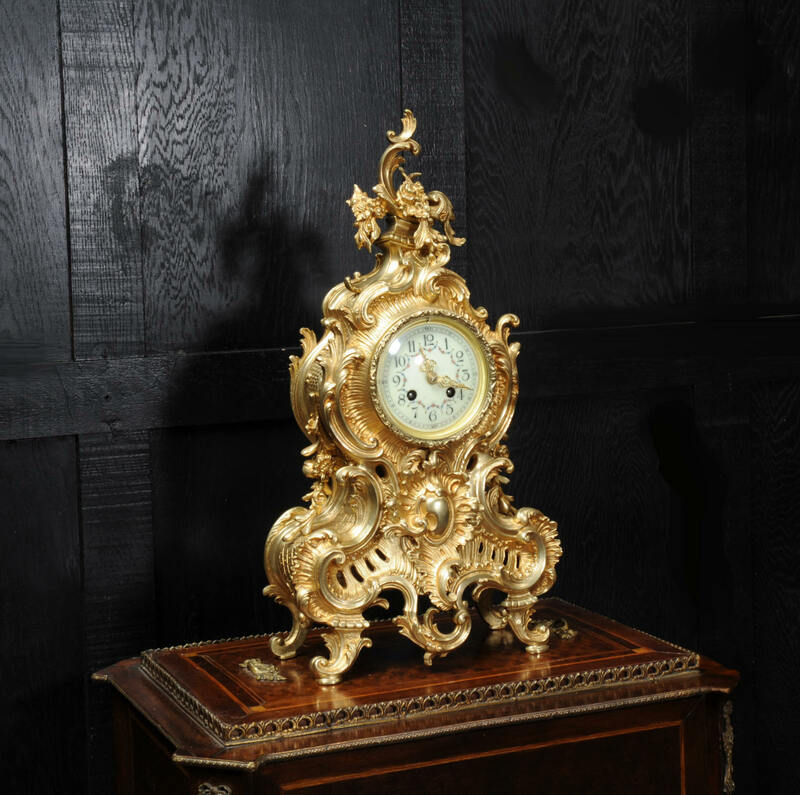 A large, superb and very decorative original antique French clock. 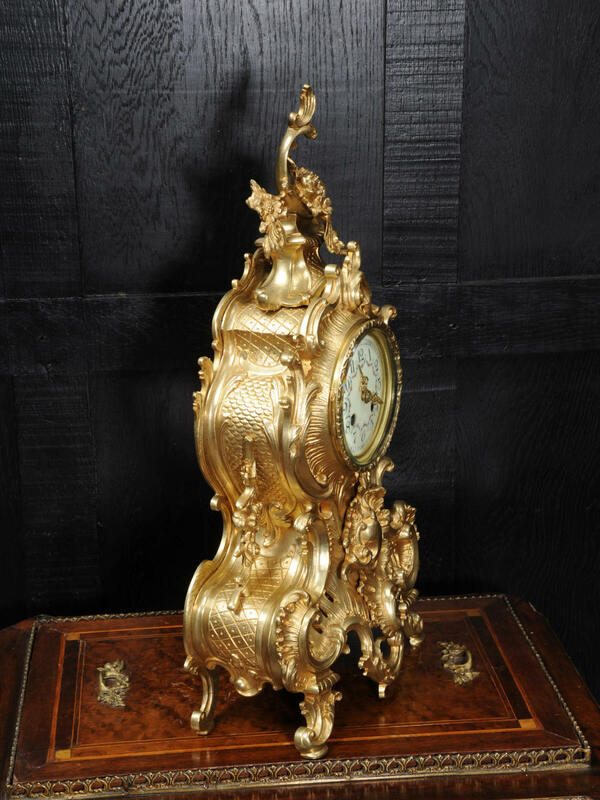 It is boldly modelled in the Rococo style in finely gilded bronze. Asymmetric waisted case, decorated profusely with acanthus leaves and 'C' scrolls. 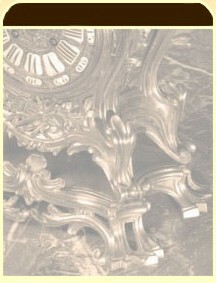 To the top is a large elaborate final of stylised foliage with a 'C' scroll. 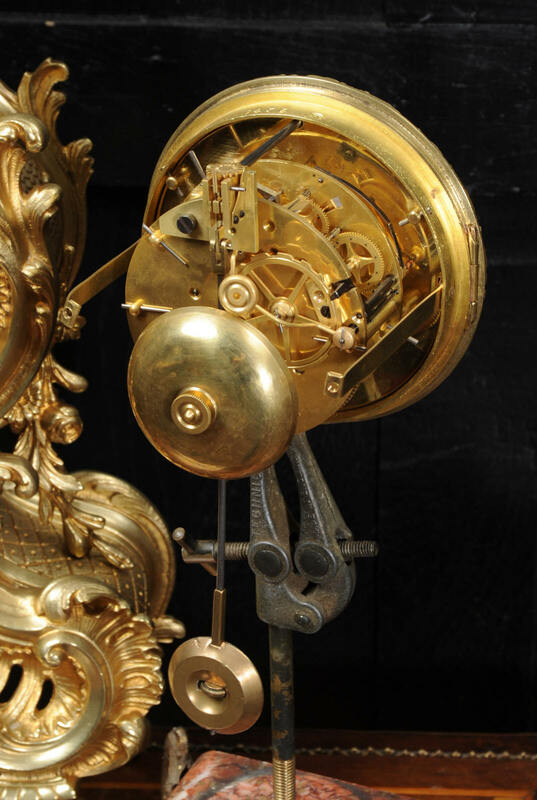 It is of lovely quality, heavily made but with a crisp, light design. 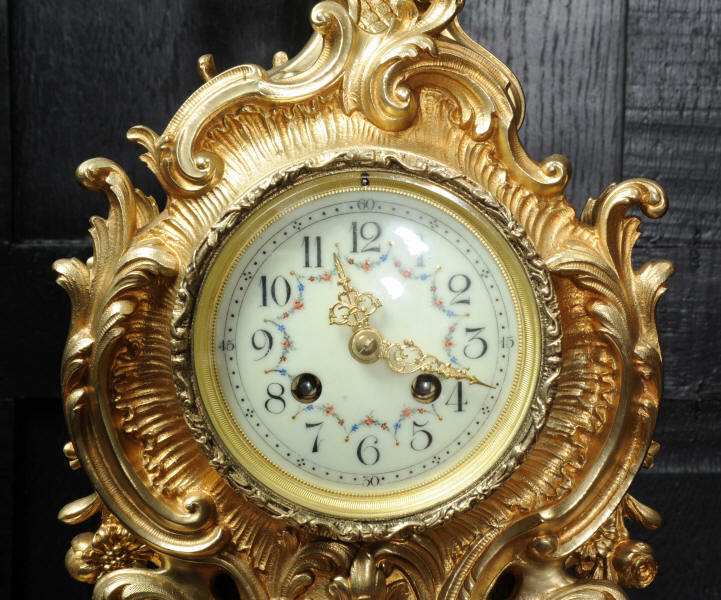 The dial is porcelain enamel on copper with delicately painted swags between the hours and finely fretted gilt brass hands. The Rococo bezel is fitted with convex glass. The rear door is also glazed to allow the movement to be seen. Condition of the case is excellent, beautifully clean and bright with hardly any wear or discolouration and there are no losses. 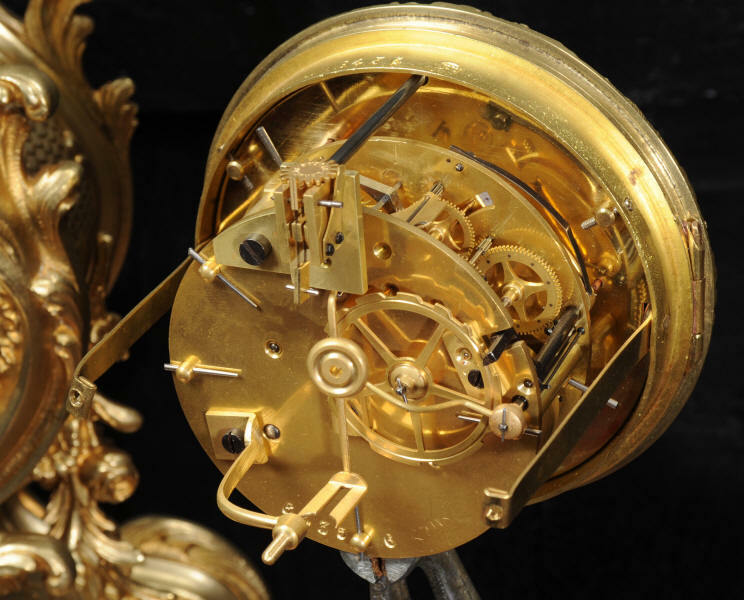 The dial is also in excellent condition with no major damage or marks. 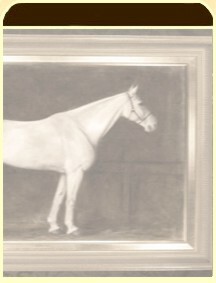 Height 19 1/4", Width 10 1/2", Depth 5 1/2"